This month we’ve teamed up with heating expert, Dimplex, to offer one lucky winner a stylish Evandale Opti-myst® Electric Stove with Hearth Pad. Dimplex’s Opti-myst® range of electric fires are the ideal solution for a safe, family friendly fire and feature the world’s most realistic 3D electric flame effect. What’s more, the fires can be simply plugged in to create an instant fireplace and an instant relaxing atmosphere in your living room. 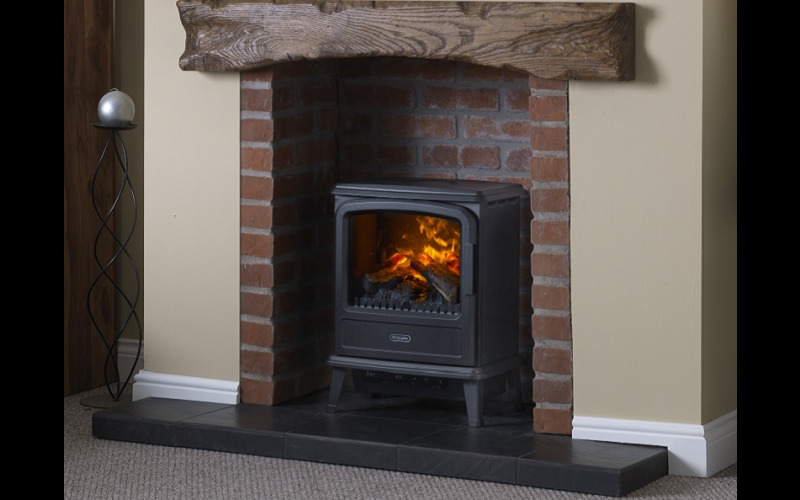 The Evandale is a medium sized cast iron style stove in matt black finish and single opening door. The fire can be operated via a remote control for instant flame and heat from the comfort of your sofa. For those who simply want the look and feel of a real fire but without any associated heat generation, the flame effect can work independently of the heat – ideal for when you want that cosy feel but don’t need the heat in the room.